Pickle-perfect! Very popular in the Mediterranean; also called a Lebanese or Middle Eastern Cucumber. Fine, sweet flavor, high yields, burpless and has great shelf life. An excellent choice for both slicing and pickling. Bitter-free. Needs abundant moisture, rich soil and a bit of afternoon shade. Harvest frequently to keep the vines producing. 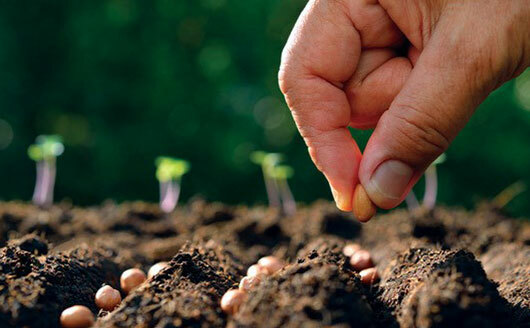 Beit Alpha takes better to direct-sowing than starting indoors and transplanting, so save yourself the extra effort. Photo courtesy of Baker Creek Heirloom Seed. Transplant spacing: 18-36” (do not disturb roots when transplanting). If you’re trellising, the transplants can be spaced as close as 18” apart. These just taste great. Not flavorless like the store bought. Cucumbers are one of my favorite "grazing" foods, and I pickle as well as have them in my salads each night.